New Emergency Personal Alarm Keychain - Just $11.97! Wow! Check out this New Emergency Personal Alarm Keychain for Only $11.97 + FREE Shipping w/Prime! This keychain is GREAT! 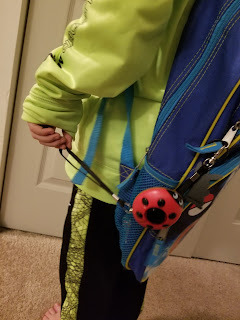 I do feel just a little better knowing my son has this on his backpack. 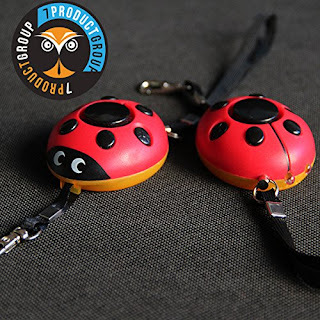 130 DB-SUPER SOUND LIFE SAVING This premium quality alarm is loud! In a dangerous situation, or just one where you need help, it will draw the attention of people who are a good distance away (and scare anyone away who are not there to help). EASY TO ACTIVATE: Pull the pin out to activate the alarm and insert it back to stop it.The alarm can be reused, Non-disposable product. 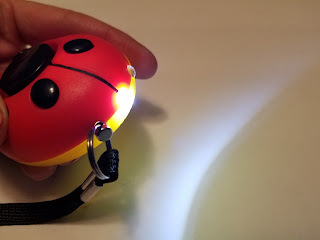 BUILT IN LED light. A RISK FREE PURCHASE: GET IT BEFORE you realize you need it...It's too late. It works great, doesn't it? If you disagree and you are not satisfied with the Personal Alarm System, it's fine. It wasn't made for everyone. Thanks to the 7ProductGroup money back guarantee, you can get your money back. But first, give it a try! And if you don't like it, we will be here to refund you, no questions asked. 1.High quality - 130 dB Super Loud,1000 times repeated routine tests of the switch pin ensures it won't break in your most emergency conditions. 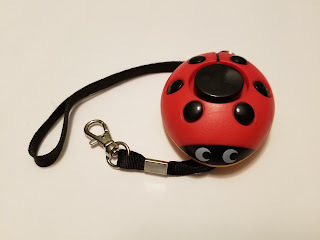 2.Perfect gift - This useful self defense keychain is ideal for all ages.You will feel much safer to have this protection for your children, elderly parent even for yourself. 3.Our Server - If you are not 100% satisfied with the item, please feel free to contact us,we will replace it with a brand new one or issue a full refund to you. 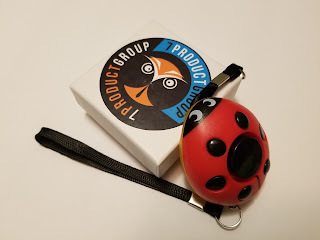 When in danger, an effective personal alarm can help to a certain extent, it will sound off to alert the surrounding people and scared the intruder away. When earthquake,fire or crisis happen,it will inform people the location by 130dB continuous panic sound. Pull off the hand strap to activate alarm (To turn off the alarm, insert the hand strap to the plug). When the alarm sound goes low, please remove screws from back cover to replace new batteries.